← Things are looking serious! Currently, I am remembering stuff. Memories of our life here in the St. Louis area. People. Moments. Times. Events. Craziness. And stuff. I drove through Forest Park yesterday (St. Louis’ city park that is larger than Central Park in New York). A lot of life has been lived there: Hot Air Balloon Race picnics, a million trips to the Zoo, an Art Museum trip that was a little “toooooo artsy” for my young son, hikes, lunches, romantic dinners at The Boat House, meeting friends at the Visitor’s Center, walks, The Muny, the day we spent in the park before Grant enlisted, drives through just to see the colors in the fall, the 9/11 memorial … and lots more stuff like that. I cried a little, but I mostly smiled. Remembering really good times. Full times. Stuff. We leave marks without realizing it. What a responsibility. I want to remember that fact every day of my life. Instead of living each day like it is our last (as the often-used saying goes), let’s live it so our actions and/or words last. So that we leave a mark. Hopefully a positive mark full of impact. 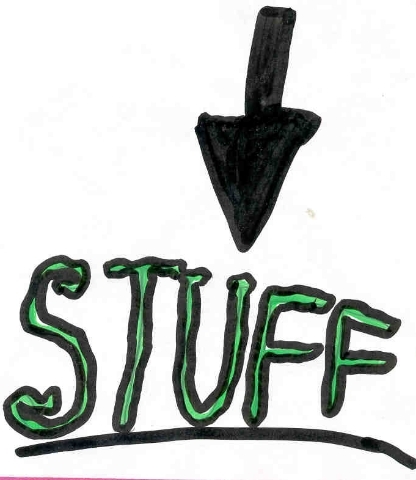 Remembering stuff has made an impact on how I want to purposefully live my life in the days and years and decades ahead. Lord, help me do just that, I pray. Love your insight! Happy Stuff, Patti. Beautifully written, Pat. But I’m still going to miss you tons. Praying for you and your new adventures. Going to miss you, too. Oh the times we’ve had!